Can Congress give Americans better protection? Assembling a new identity used to be the specialty of spies and master criminals. Now, ordinary crooks are acquiring consumers' personal information — Social Security numbers, addresses, mother's maiden names and other data — and opening new accounts in other peoples' names. 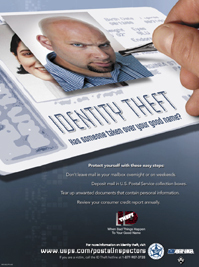 Nearly 10 million consumers are affected annually by lost or stolen data at a cost to the economy of $53 billion. Moreover, victims spend almost 300 million hours a year trying to clear their names and re-establish good credit ratings. Congress and state legislatures are looking at ways to stop identity theft, but financial and data-collection companies argue any solutions that slow down the business of buying and selling personal data would hurt the economy. Meanwhile, in the biggest in a series of recent security breaches, Citigroup announced on June 6 that computer tapes containing personal data on 3.9 million consumers were missing.